One of the strengths of VIP is that it has been rigorously studied by world-class developmental psychologists and pediatricians. Many peer-reviewed scientific journal articles have been published on the impacts and benefits of VIP. In addition, our work is presented regularly at national and international scientific conferences, including the Pediatric Academic Societies (PAS) Annual Meeting, Society for Research on Child Development (SRCD) Biannual Meeting, American Academy of Pediatrics (AAP) National Conference, Biannual International Congress on Infant Studies (ICIS), Head Start Biannual National Research Conference on Early Childhood, and Society for Developmental and Behavioral Pediatrics (SDBP) Annual Meeting. Our team has also extensively published on parenting, child development, and school readiness in low-income populations, as well as on other programs designed to close poverty-related achievement gaps (e.g., Reach Out and Read; Building Blocks). For more details, see our BELLE Project publications. Below is a selection of journal articles and chapters about VIP. Mendelsohn, A., Cates, CB, Weisleder, A., Berkule Johnson, S., Seery, A, Canfield, C., Huberman, H., & Dreyer, B. Reading aloud, play, and social-emotional development. Pediatrics 2018. Weisleder, A, Cates, CB, Dreyer, B, Berkule Johnson, S, Huberman, H, Seery, A, Canfield, C, Mendelsohn, AL. Promotion of positive parenting and prevention of socioemotional disparities. Pediatrics 2016, 137(2). Cates CB, Weisleder A, Mendelsohn AL. Mitigating the Effects of Family Poverty through Early Child Development Interventions in Primary Care. Academic Pediatrics 2016, 16(3). Cates, CB, Weisleder, A, Dreyer, BP, Berkule Johnson, S, Vlahovicova, K, Ledesma, J, & Mendelsohn, AL. Leveraging healthcare to promote responsive parenting: Impacts of the Video Interaction Project on parenting stress. Journal of Child and Family Studies 2016(3), 827-835. Canfield, C, Weisleder, A, Cates, CB, Huberman, H, Dreyer, BP, Legano, L, Berkule Johnson, S, Seery, A, & Mendelsohn, AL. Primary care parenting intervention effects on use of corporal punishment among low-income parents of toddlers. Journal of Developmental and Behavioral Pediatrics 2015, 36(8), 586-593. Mendelsohn AL, Cates CB, Weisleder A, Berkule SB, Dreyer BP. Promotion of Early School Readiness Using Pediatric Primary Care as an Innovative Platform. Zero to Three 2013; 34 (1), 29-40. Cates CB, Dreyer BP, Berkule SB, White LJ, Arevalo JA, Mendelsohn AL. Infant Communication and Subsequent Language Development in Children from Low-Income Families: The Role of Early Cognitive Stimulation. Journal of Developmental and Behavioral Pediatrics. Journal of Developmental-Behavioral Pediatrics 2012; 33(7), 577-585. (PMCID: PMC3434454). Mendelsohn AL, Huberman HS, Berkule-Silberman SB, Brockmeyer CA, Morrow LM, Dreyer BP. Primary Care Strategies for Promoting Parent-Child Interactions and School Readiness in At-Risk Families: Early Findings from the Bellevue Project for Early Language, Literacy and Education Success (BELLE). Archives of Pediatrics and Adolescent Medicine 2011, 165 (1), 33-41. Mendelsohn AL, Dreyer BP, Brockmeyer CA, Berkule-Silberman SB, Huberman HS, Tomopoulos S. An RCT of Primary Care Pediatric Parenting Programs: Impacts on Reduced Media Exposure in Infants, Mediated through Enhanced Parent-Child Interaction. Arch of Pediatrics & Adolescent Medicine 2011; 165 (1), 42-48. Mendelsohn AL, Dreyer BP, Brockmeyer CA, Berkule-Silberman, S.B., & Morrow, L.M. Fostering early development and school readiness in pediatric settings. In D. Dickinson & S.B. Neuman (Eds). Handbook of Early Literacy Research: Volume 3. New York: Guillford, 2011; 279-294. Mendelsohn AL, Brockmeyer C, Dreyer BP, Fierman AH, Berkule-Silberman S, Tomopoulos S. Do verbal interactions with infants during electronic media exposure mitigate adverse impacts on their language development as toddlers? Infant and Child Development 2010; 19(6): 577-593. Morrow LM, Mendelsohn AL, Kuhn MR. Characteristics of Three Family Literacy Programs that Worked. In Dunsmore K and Fisher D, eds. Bringing Literacy Home. Newark, DE: International Reading Association, 2010. Berkule SB, Dreyer BP, Forrest EK, Mendelsohn AL. 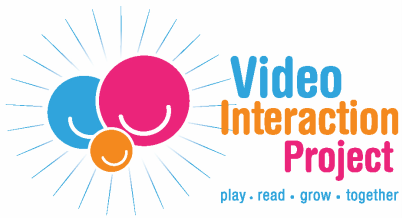 The Video-Interaction Project: A Pediatric Care Intervention to Promote Parent-Child Interaction. Ab Initio International 2008; Spring. Mendelsohn AL, Valdez P, Flynn V, Foley G, Berkule S, Tomopoulos S, Fierman AH, Tineo W, Dreyer BP. Use of Videotaped Interactions During Pediatric Well-Child Care: Impact at 33 Months on Parenting and on Child Development. Journal of Developmental and Behavioral Pediatrics 2007; 28:206–212. Mendelsohn AL, Dreyer BP, Flynn V, Tomopoulos S, Rovira I, Tineo W, PeBenito C, Torres C, Torres H, Nixon AF. Use of Videotaped Interactions During Pediatric Well-Child Care to Promote Child Development: An RCT. Journal of Developmental and Behavioral Pediatrics. 2005; 26(1), 34-41. Mendelsohn AL. Promoting language and literacy through reading aloud: The role of the Pediatrician. Current Problems in Pediatric and Adolescent Medicine. 2002 July; 32(6): 183-210.